Here you can find a clearly laid out presentation of the whole amusement park area, the traffic junction Praterstern and parts of the avenue Hauptallee. In addition to the represented city-walks top 10 attractions also the metro stations and the parking possibilities are marked. The Prater Map is a free A4 PDF and due to that you can easily print it or store locally on your Smartphone. 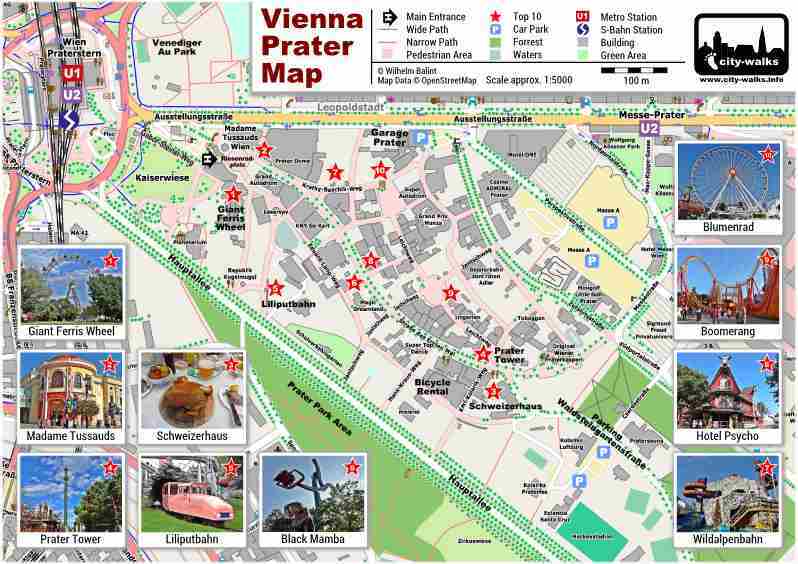 Please click on the picture of the Prater Map to open the PDF file! The main entrance of the Prater is located directly at a huge roundabout, the Praterstern. The center of this traffic junction is the location of a railway station with stops for the metro lines U1, U2 and some rapid transit lines (S-Bahn). The terminus of the tram lines O and 5, as well as the bus stops of lines 5b, 80A and 82A are situated in front of the station building. If you are arriving via the highway to Vienna the easiest way is to drive onto the Donauuferautobahn A22. From there, take the exit for Reichsbrücke and drive onto the Lassallestraße. This street leads to the large roundabout Praterstern, which you nearly need to pass completely until you exit into the street Ausstellungsstraße. There you should turn to the right, at the 2nd traffic light, to get to the Prater Garage. If you want to look for a parking space at a street you can also turn to the left at the traffic light and search there in the alleys above of the Ausstellungsstraße. All around the Prater is a short term parking area. Like in the Vienna city center it is valid from Monday to Friday between 9:00 am and 10:00 pm. On Saturdays, Sundays and public holidays you can try to find a free parking space in the alleys north of the Ausstellungsstraße. 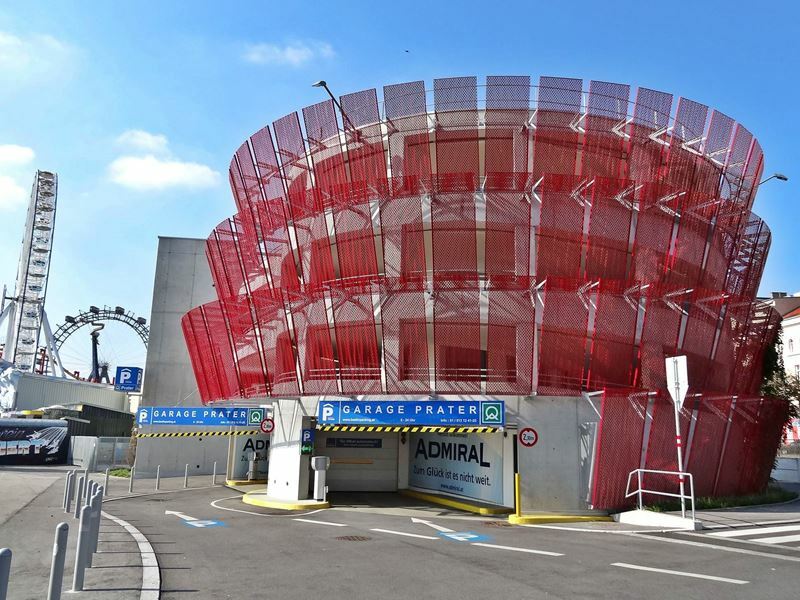 More straightforward is to use one of the 2 chargeable parking possibilities directly in the Prater: the Garage Prater is accessible via the Ausstellungsstraße and the Parking Waldsteingartenstraße is reachable via the Csardastraße. Both charge about 2 Euros per hour for the first two hours and afterwards approximately 1,50 Euros per hour. 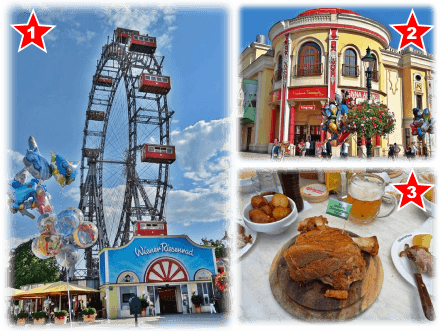 The entire Prater is located in the 2nd District of Vienna (postal code 1020). The amusement park consists of a large pedestrian area with various street names, which are listed on the map. If you need some position information for the navigation of the car, I recommend you to enter the location of the Prater Garage: Präuscherplatz or the coordinates 48.21762 °, 16.40080 °.